Investing in demand planning technologies is one of the most strategic and impactful actions that manufacturers can make to see immediate business performance improvements. With just a small increase in business forecast accuracy, manufacturers can realize a dramatic reduction in operational expenses and overall improvement when executing revenue growth strategies. Imagine how exponentially these forecasts can be improved when you aren’t struggling with siloed data sources or trying to manipulate manually-populated spreadsheets. Register today and join us for this interactive discussion. We look forward to seeing you there! Steve Rice is the vice president of the TAKE Supply Chain product group, directly responsible for the global product portfolio, including go-to-market strategy, product management, product development and the definition of growth roadmaps. In addition to his product responsibilities, Rice leads all aspects of TAKE’s marketing efforts, including branding, communications, digital, and channel marketing. 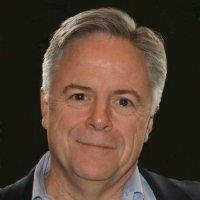 Steve is also responsible for channel development and industry alliance activities. He is based in TAKE’s offices in Austin, Texas. Prior to joining TAKE Supply Chain, Rice served in progressive management roles at Dell, Inc. He has extensive experience in the delivery of enterprise-grade Quote to Cash, Product Lifecycle Management (PLM) and Cloud Delivery solutions. Through his career, he has developed specialized expertise in new product development, agile development, business process re-engineering, and enterprise IT solutions. 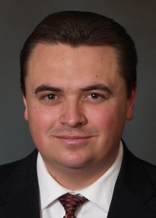 Jason Averill is the Co-Founder and Executive Vice President of Avercast, LLC. He manages all of the day-to-day operations and oversees the company’s global sales and marketing initiatives. With more than 20 years of supply chain experience, Averill plays an instrumental role in the development and implementation of Avercast’s demand planning solutions for customers around the world. His collaborations with supply chain industry pioneers, including his father Gene Averill, have produced several innovative software solutions that ease the business forecasting process and improve outcomes for manufacturing organizations of all sizes.